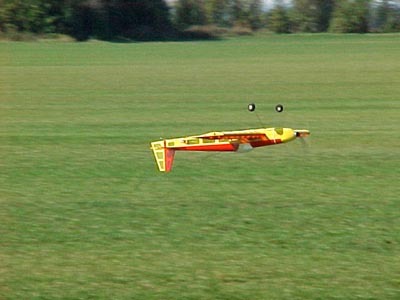 Adam Rogozinsky's Micro Diablotin flown inverted about 12 inches off the ground, at the Beeton 2002 funfly. 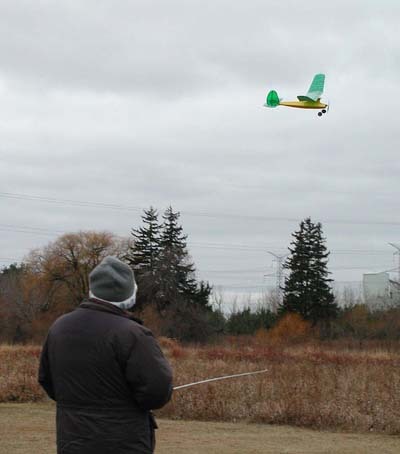 Just seconds after this photo was taken, Adam dragged the rudder on the field as he successfully pulled the plane up (pulled down - upside down) and climbed away. Thatâ€™s not an easy task. 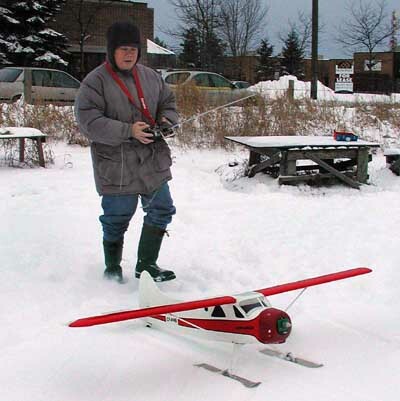 Some winter flying fun at the 14th Ave. field in Markham. That's John Kusturin ready to take-off. That's John Kusturin and Rod Schneider at the 14th Ave. field. And Alex Lee ready to take up the big Beaver. 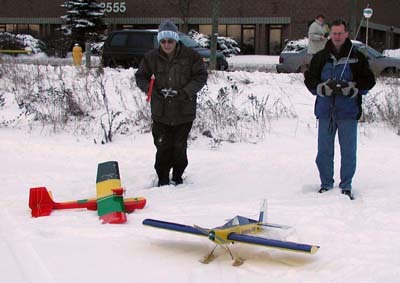 Alain P Hovasse's Lanzo Bomber at the 14th Ave. field, January 1, 2003. Being expertly flown by John Kusturin. Roy Bourke's 1925 Messerschmitt M-17. 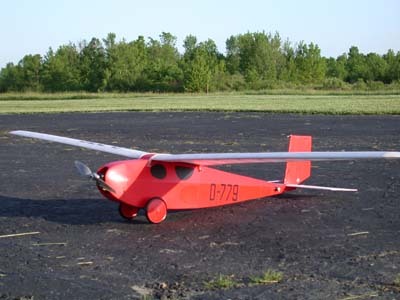 This is a model of the first aircraft that Messerschmitt designed that went into production, two-place, designed for small (25-40HP) engines Model was built for the new 1/2A Electric Texaco Scale Duration class in SAM competition.